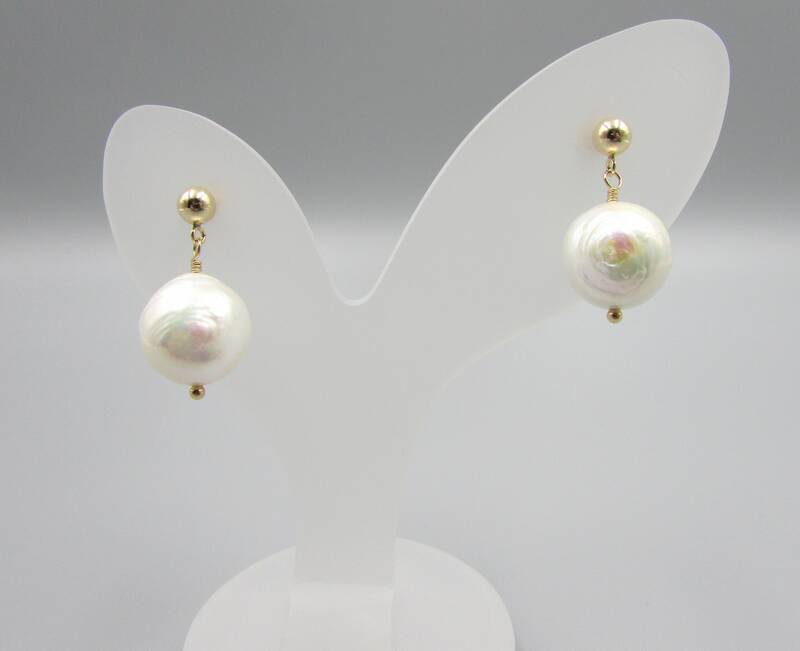 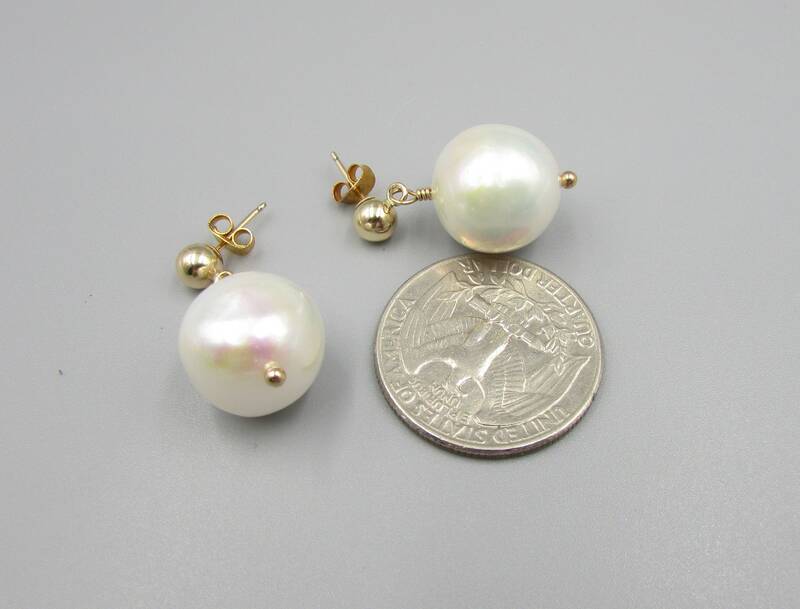 These stunning pearl drop earrings are made with high quality AAA large freshwater pearls. 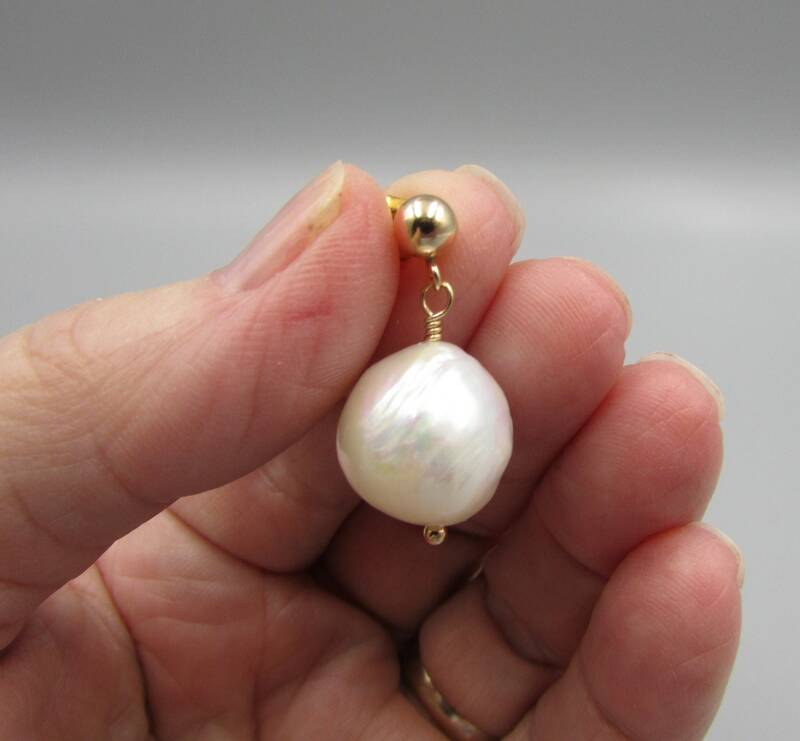 The white pearl has slight ripples and very high luster and shine. 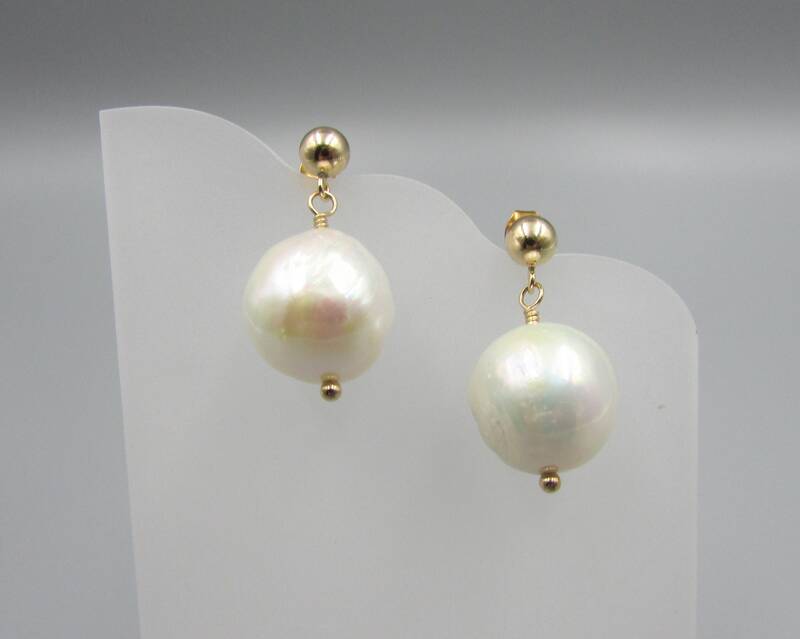 The kasumi like pearl cast hues of soft pink shimmer and Iridescent rainbow effects. 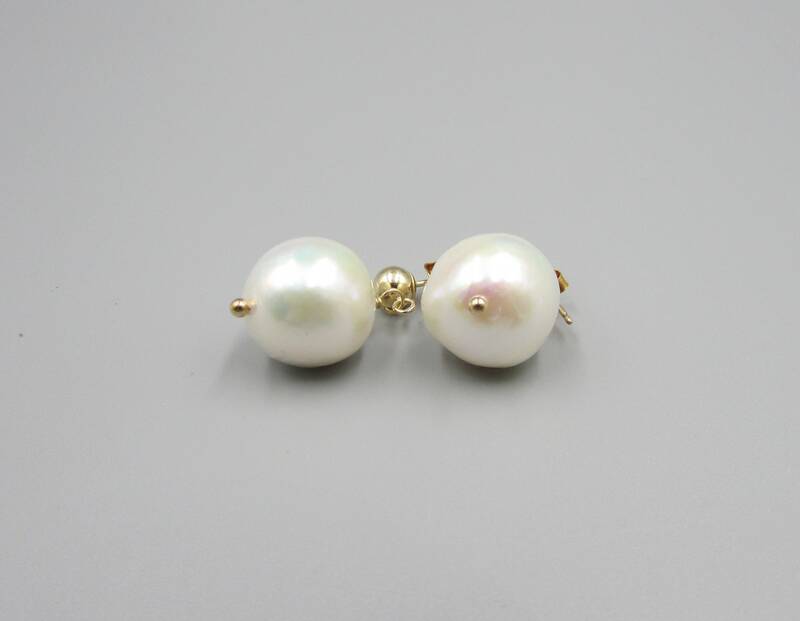 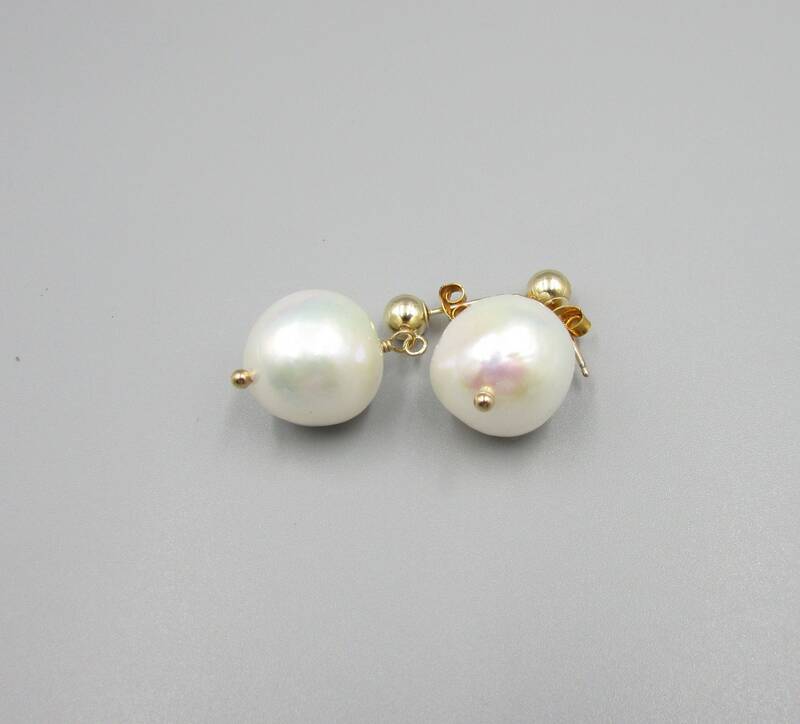 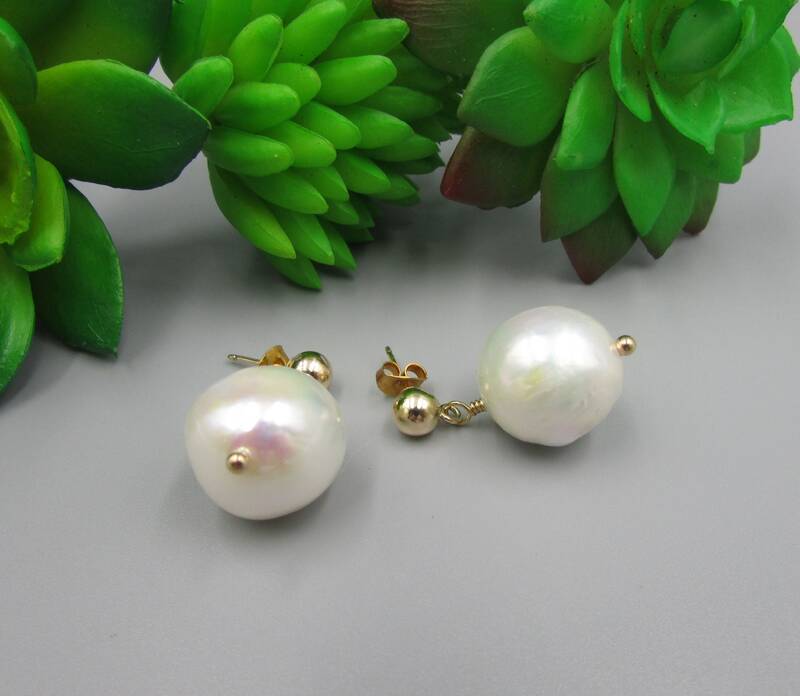 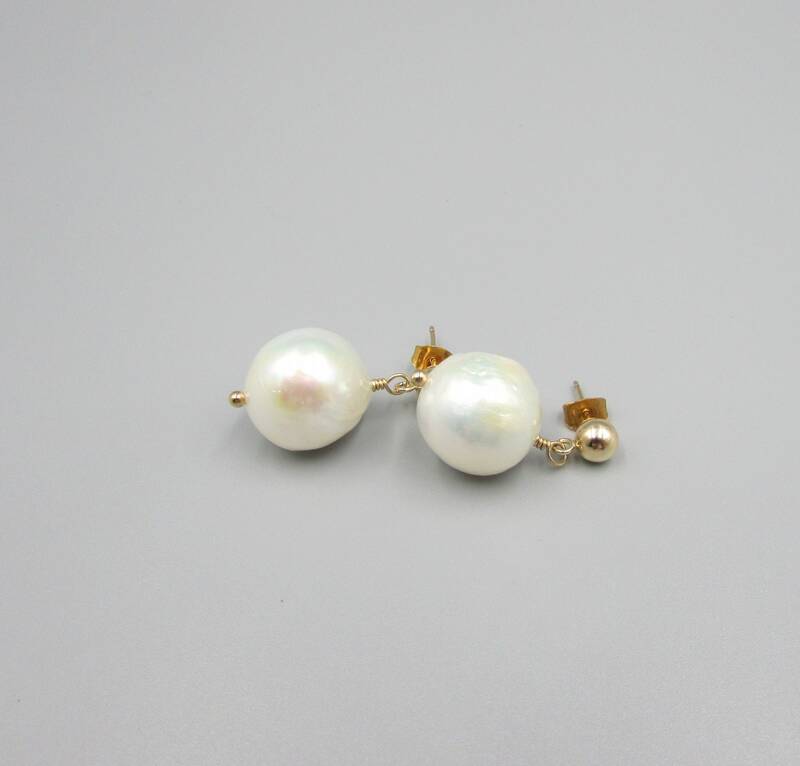 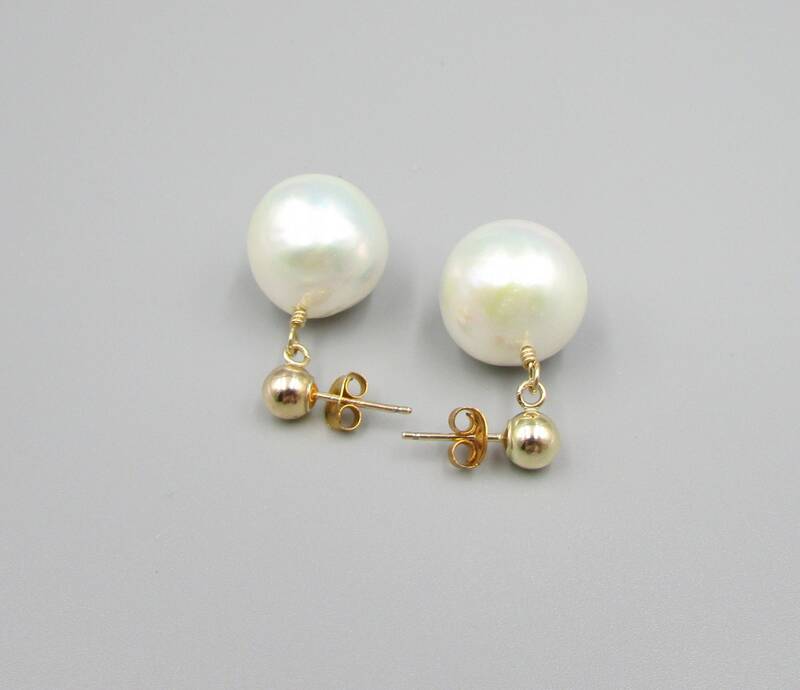 They a simple, classy and absolutely gorgeous pearl earrings. 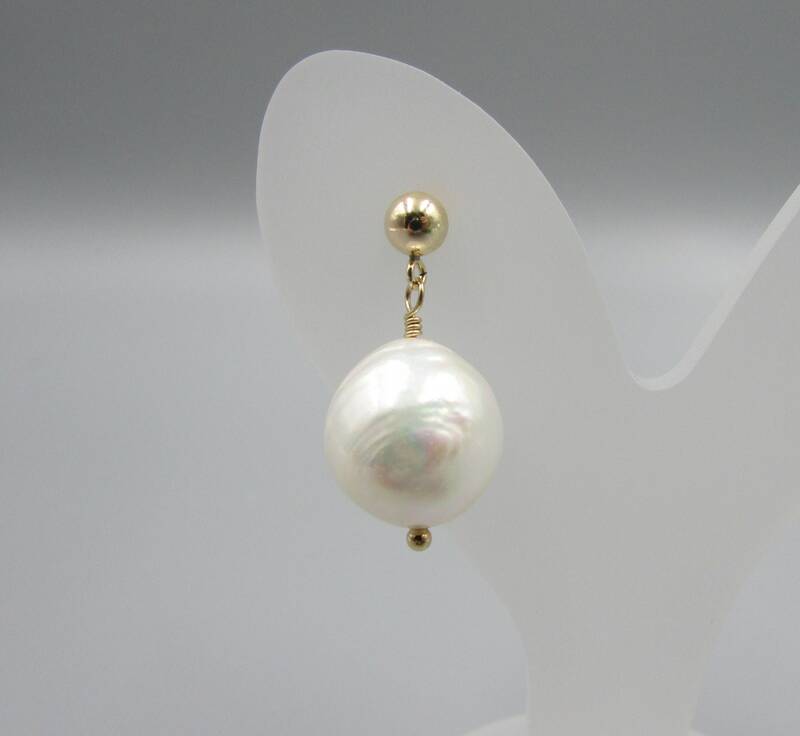 The pearl is placed on a gold filled ball head pin, wire wrapped with a loop and attached to 14Kt gold filled 5mm ball post studs.